It is often necessary for undercover agent or security detail to carry concealed body armor, with an extra place to store his gear in the field. This bulletproof protective briefcase provides the ability to protect themselves quickly, by converting this ballistic briefcase info bulletproof shield to protect themselves and people they are protecting. In such situations, having access to this body armor gear that can be deployed in no time and provide bulletproof protection in the field can be life saving. This ballistic briefcase is specifically designed for the Israeli Security Forces to be durable and easy to carry while stay concealed. The zippered and Velcro compartments are also designed to be easy to open, not only to make it easier to get to the items you are storing easily, but also to ensure that you can deploy the bulletproof shield protection in a moment’s notice. This bag offers ample storage space for essential documents and items that an individual might need to carry when out in the field. 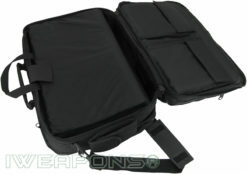 This ballistic briefcase with bulletproof protection that unfolds into a full body length size, ensuring that in a case of emergency, you can unfold it and use it as a bulletproof shield with NIJ 3A protection. As the case unfolds to a full body bulletproof shield, allowing you to take cover if the need arises. The bulletproof casing helps you to have the protection you need and keeps the bullet proof protection concealed from others. 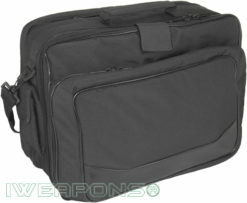 You do not need to worry about storing your gear as this bulletproof briefcase has many storage compartments. Furthermore, when the shield is unfolded the compartments remain intact, which prevents loss of items you are storing or making them vulnerable to potential damage. The bag contains several compartments which will help to keep both documents and small pieces of gear stowed away. 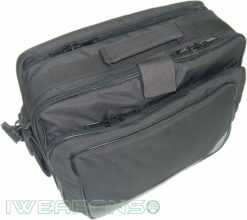 The front portion of the bag contains several smaller compartments/pouches that ideal for pens, knives or similar needs. You can also store your combat gear as sidearm or extra magazines. The rear compartment contains a flat pocket that is ideal for storing documents. 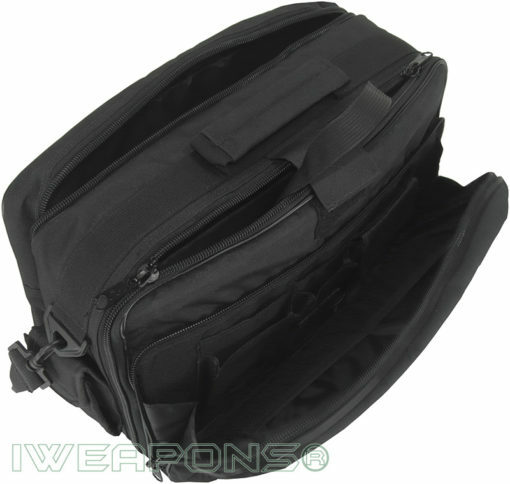 The main pocket of the bag contains a large compartment which stores the bulletproof body shield which can quickly be released by pulling a Velcro strap. This bulletproof briefcase contains four compartments, the main compartment contains the bulletproof shield, while the other compartment can be used to store gear or other materials as necessary. Compartments in this bulletproof briefcase are large enough to store documents and even a laptop. 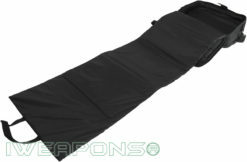 You can also store your combat gear as a sidearm, magazines and even a radio, use during the emergency.